It is crucial when choosing a pediatric practice for your children that you have given serious consideration to the fit between the practice philosophies and your own. Excellent care happens when the physicians and office staff are aligned with your family priorities and philosophies regarding medical care. Only then can shared decision making be based on mutual respect. 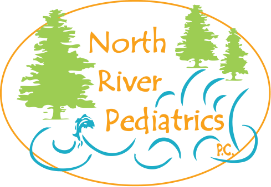 Please read the following checklist carefully to be sure North River Pediatrics is the appropriate medical home for your children. We look forward to meeting you and forming a mutually rewarding relationship. Vaccines Our vaccine policy follows the schedule outlined by the CDC and the American Academy of Pediatrics. We vaccinate our own children on schedule and expect the same of our patients. Our practice prides itself on efficiency through use of technology. You will be expected to contact us through our patient portal and effectively use automated reminders. Office Hours We make every effort to meet the needs of our patients, but we are a small practice and don’t see patients on the weekend. Please familiarize yourself with our office hours to see if they work for your family. After Hours We have a physician on call 24/7/365. They can be contacted by calling our main number at any time. We expect that unless it is a true medical emergency and requires 911, that you will call the on-call physician to discuss recommendations prior to heading to the Emergency Department or Urgent Care. Insurance Please make sure we take your specific insurance plan. If there are any questions, call our office and/or check with your specific insurance company. Billing and Fees It is up to you to understand how your insurance works including deductibles and co-insurance and to provide up-to-date insurance information at every visit. Please click here to read our billing and payment policies. Please call our office to make an appointment and tell the medical staff all of your concerns so that they can allow the appropriate length of time. Timeliness Our practice makes every effort to run on time with appointments, as we believe everyone’s time is equally valuable. We ask that you make every effort to present to the office at your scheduled appointment time and call us if you are running behind. You may be asked to reschedule if you are late or have missed your appointment time.